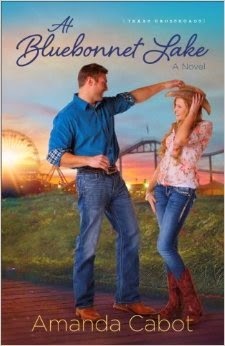 It seems like it's been a while since I've read and reviewed a contemporary romance. It's been cookbooks, nonfiction, historical fiction and some Amish fiction thrown in for good measure. I'm okay with that but when this book came up next in my stack, I was good with a change of pace and that's just what this book delivered. I found Kate to be a very relatable character. Perhaps it's because I've always felt like I had to live up to someone else's dream for me. Perhaps it's just the name. ;) Either way, I found the relationship between Sally and Kate to be sweet and genuine. I enjoyed the romances involved in the story and I'll be honest, the resort itself was one that I wanted to find and hide myself away in so that I could enjoy nature and just some down time from every day life. All in all, a very enjoyable read. Thanks so much for taking the time to read and review my book. I'm delighted that you enjoyed it and hope you're looking forward to the next book in the series.